Now New Koleos Initiale Paris is taking the limelight at this year’s Paris Motor Show: a top-end version addressing major European markets and available along with the rest of the New Koleos range from spring 2017. 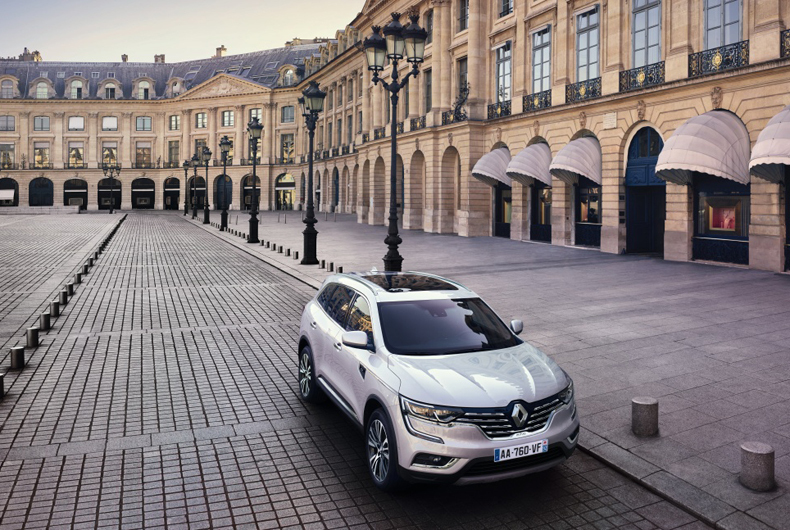 In taking up the Initiale Paris signature, this version of New Koleos joins the select uppermost reaches of the Renault range as regards features and services, the perfect complement to the car’s inherent virtues of robustness and interior space. 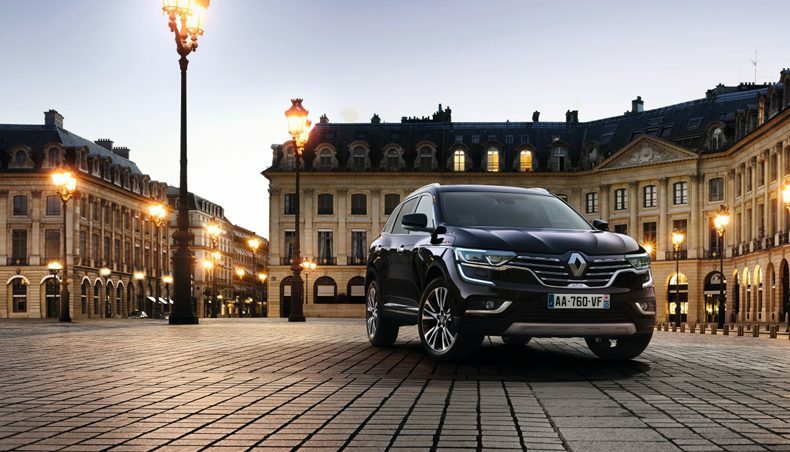 With the Initiale Paris signature, New Koleos boasts Renault’s best in terms of comfort and equipment. And New Koleos Initiale Paris looks just fabulous, with its exclusive Amethyst Black body, with deep Metallic Prune highlights, exclusive exterior design features, and exclusive interior mood attributes. In this version, the burly, compelling exterior of New Koleos is enhanced by design features specific to the Initiale Paris signature, starting with the exclusive metallic Amethyst Black body colour, a new addition to the eight in the existing New Koleos range, exclusive diamond-pattern 19” wheels, a specific insignia under the front Renault badge, and a specific front wing trim. New Koleos Initiale Paris stands out for its exceptional comfort. This very special version boasts a specific interior finish, with exclusive features and equipment making this a truly exceptional SUV. There are heated and ventilated front seats, laminated glass windows for better soundproofing, the distinctive Initiale Paris insignia, a leather-covered dashboard, exclusive matting, a special Initiale Paris hands-free keycard, full-comfort headrests for the front seats, and specific dashboard and door lining décor. Then Initiale Paris signature models make extensive use of full-bloom Napa leather, rigorously selected for its visual and tactile qualities, and for its superlative comfort. New Koleos Initiale Paris also offers a very extensive array of advanced driver assistance systems including: active emergency braking; lane departure warning; speed limit alert with roadsign recognition; blind spot warning; driver fatigue detection; reversing camera; automatic main-beam and dipped-beam switching; front, rear and side parking assistance; and Easy Park Assist (hands-free parking). Up-to-the minute technology also extends to the R-Link 2 system with 8.7” vertical screen, the Bose® sound system with 13 high-performance loudspeakers, and the Pure Vision full LED headlamps. 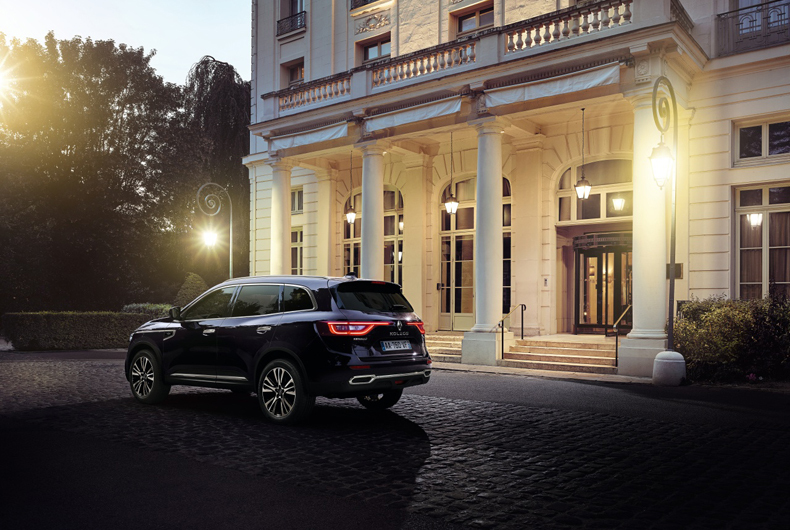 With its Initiale Paris signature, Renault offers an outstanding motoring experience backed by unique know-how and a range of highly attentive services. 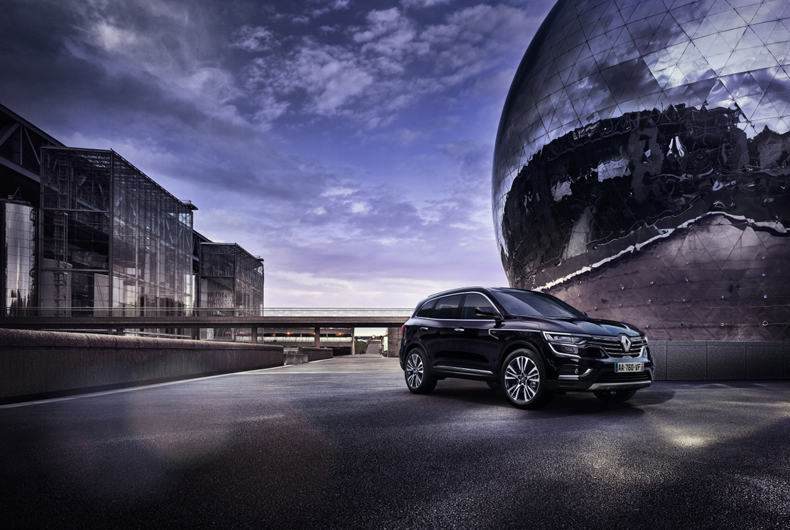 On top of its inherent qualities and exclusive features, New Koleos Initiale Paris also offers a full range of exclusive services consistent with the car’s unique driver experience. 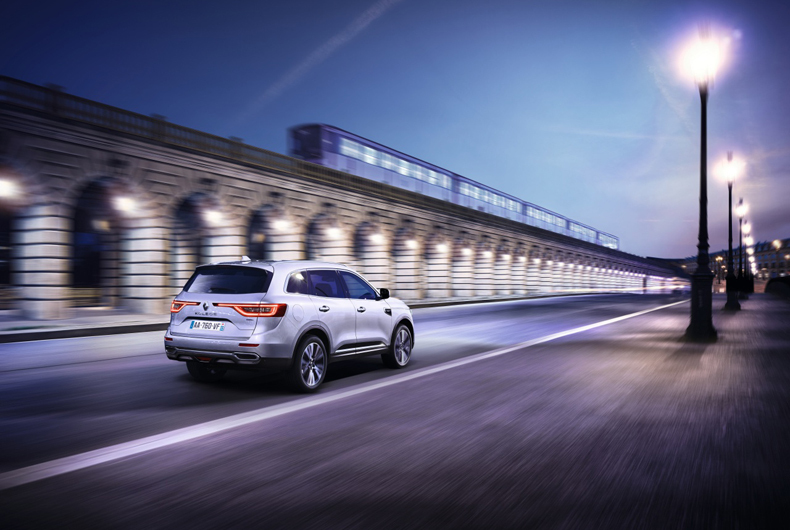 The art-of-motoring philosophy behind New Koleos Initiale Paris covers services such as a dedicated call centre, handling customer appointments (in 24 hours) as well as providing specific personalized response to assistance requests. Other optional convenience services available on some markets include a jockey service (incoming and outgoing vehicle delivery), provision of a courtesy vehicle at each servicing operation, and a complete vehicle wash prior to customer handover after each servicing operation.